Compete or just hang out and enjoy bluegrass, old-time, and Celtic music, as well as Southern Appalachian clogging. Cash prizes, lots of shade tree picking, juried craft show, food vendors, children’s area. Saturday, June 13, at 9:00 a.m. to 7:00 p.m. On-site Registration Closes 10:30 a.m. Location: Carroll County Farm Museum 500 S. Center St. in Westminster. All tickets at the gate. Adults $12; Seniors $10. Children under 12 free. Westminster Information: 800-654-4645. Throughout the day on Friday, June 5, National Geographic writer and bestselling author Jennifer Holland will be meeting patrons at A Likely Story Bookstore, which is located at 7566 Main Street in Sykesville. Holland’s works include “Unlikely Heroes,” “Unlikely Loves,” and “Unlikely Friendships.” Information: (410) 795-1718. 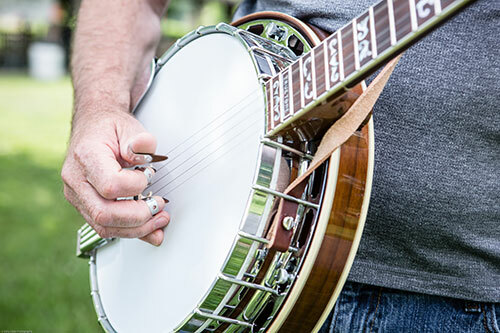 The Carroll County Arts Council welcomes “The Eric Byrd Trio: Brother Ray Band” to the stage for a live performance on Friday, June 26 at 8:00 p.m. The band that brings Charlie Brown Jazz Christmas concert every year will now pay tribute to the music of Ray Charles. Tickets are $17 for Adults and $15 for CCAC Members, Students & Seniors. Information: 410/848-7272 or visit www.CarrollCountyArtsCouncil.org.